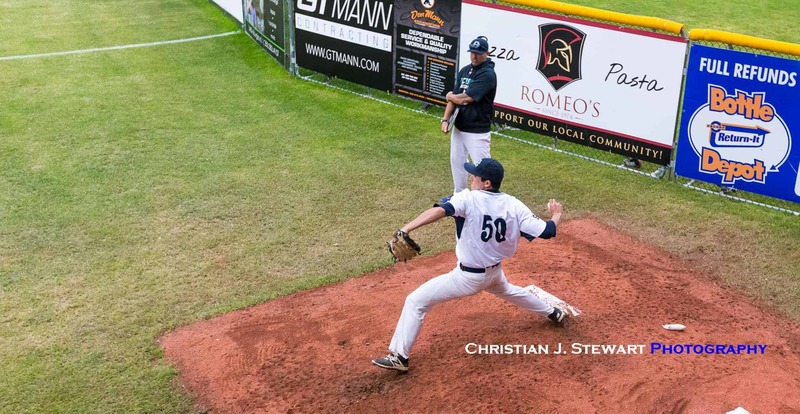 June 5, 2018, Victoria, BC – Behind some brotherly love, fast feet, and solid pitching from starter Sam Brunnig, the Victoria HarbourCats got back to .500 Tuesday night, posting a 6-3 victory over the Yakima Valley Pippins at Wilson’s Group Stadium at Royal Athletic Park. 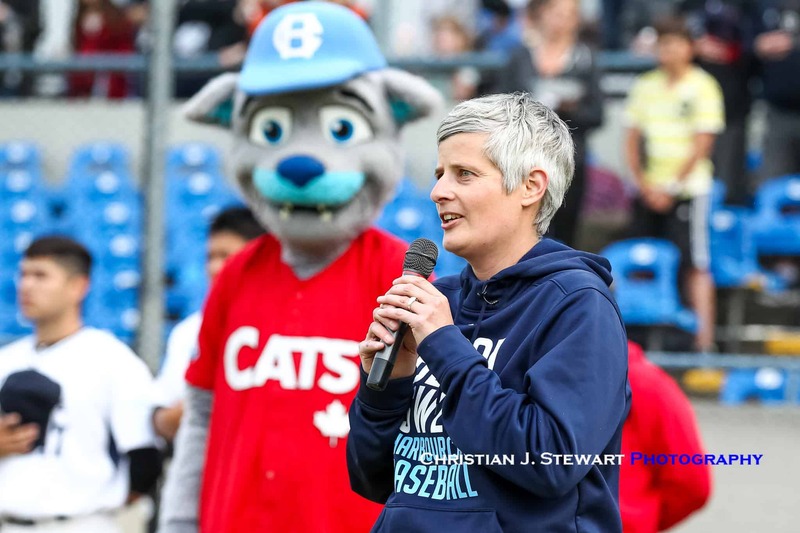 Victoria Mayor Lisa Helps took the night off from city politics, and got the 1,431 fans at the park energized with a rendition of O Canada to start the game, while HarbourCats Managing Partner Jim Swanson’s wife, Lori Swanson took the mic for the Star Spangled Banner. Brunnig, a Freshman from Embry-Riddle university, was terrific on the mound all night, not giving up a hit in four innings pitched. He finished the night with three strikeouts, five walks, and no runs. Brunnig was also named player of the game for the ‘Cats, the second time this season, their starting pitcher has been named the player of the game, joining Garrett Goodall as the only other selection in the ‘Cats previous win on Saturday. Victoria got the scoring started in the home half of the second inning, courtesy of Georgia Southern product Jeddediah Fagg, who got the action started with a double to right center and was later brought home by his brother Jaxxon, on a bases-loaded RBI groundout. The ‘Cats would then add to that lead and score all the runs they would need in the third, putting up five runs courtesy of an RBI single from Trey Bigford, a sacrifice fly from Hayden Jaco and a Yakima error and a pair of wild pitches. That effectively ended the night for Yakima’s Michael Bovee Jr. who finished the game giving up all six runs, four earned, on three hits and three walks, while striking out one. The HarbourCats once again used speed to their advantage, entering the game tied in the WCL in stolen bases with 10, and swiping four more on the night including two from Dustin Miller. 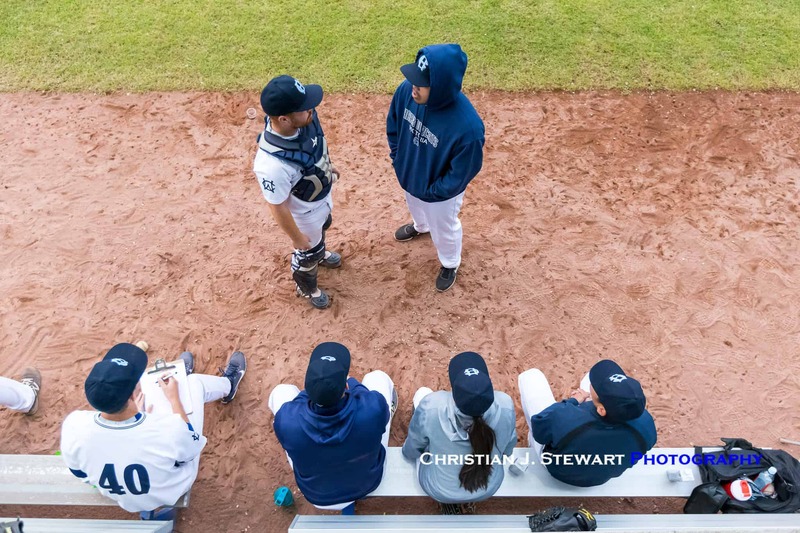 The HarbourCats shutout was ended in the fifth when Garrison Ritter, pitching in relief of Brunnig, gave up a run to start the inning and another in the sixth when Jonathan Imperial tripled and later scored on a single from Cole Jones. The Pippins would add one more run in the top of the ninth off reliever Gunnar Friend, but that would be all they could muster and they would not be able to overcome the season high six runs that they gave up to Victoria on the night. For Victoria, Jedd Fagg finished with a hit and two runs scored, with Miller adding a hit, walk, RBI and run scored. Brodan Bydeweg also contributed a hit and run scored. The Pippins were led by Imperial with his triple and run scored, while Cody Jefferis reached base three times with three walks. 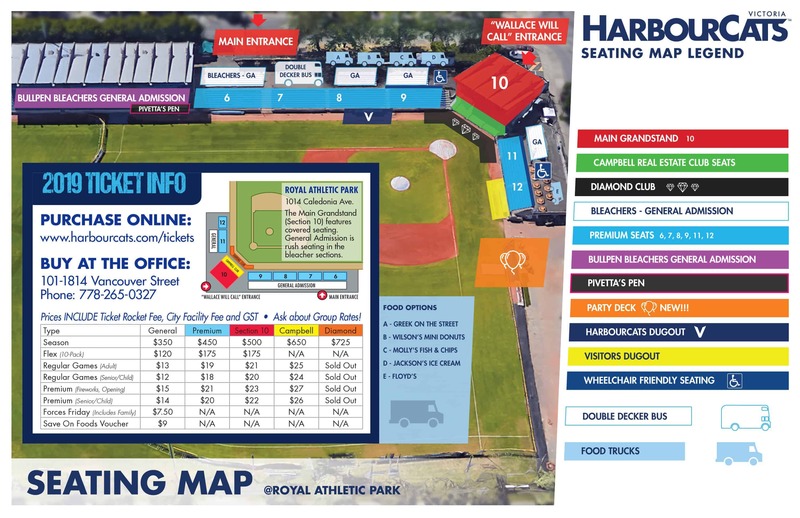 The HarbourCats and Pippins will play game two of their set Wednesday night on Investor’s Group Family Night, with Tyler Hilton getting the start for McRae’s crew. 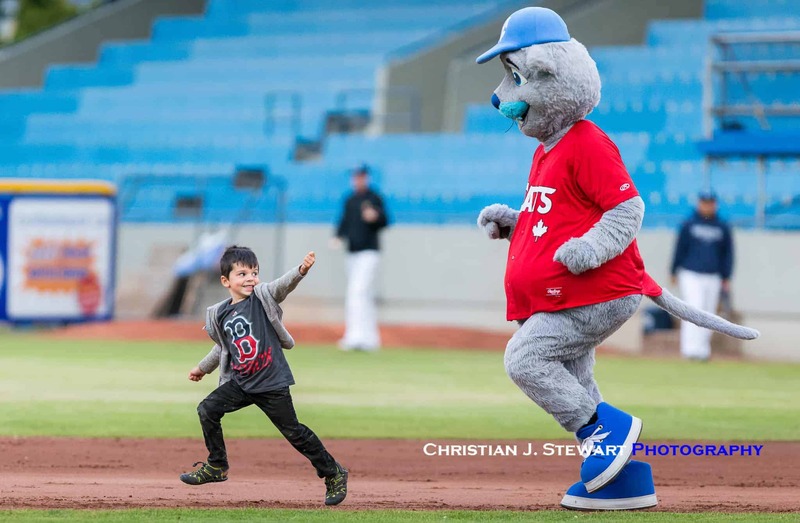 The teams complete the series on Thursday morning in an 11:00 AM start in the HarbourCats annual School Spirit Game. 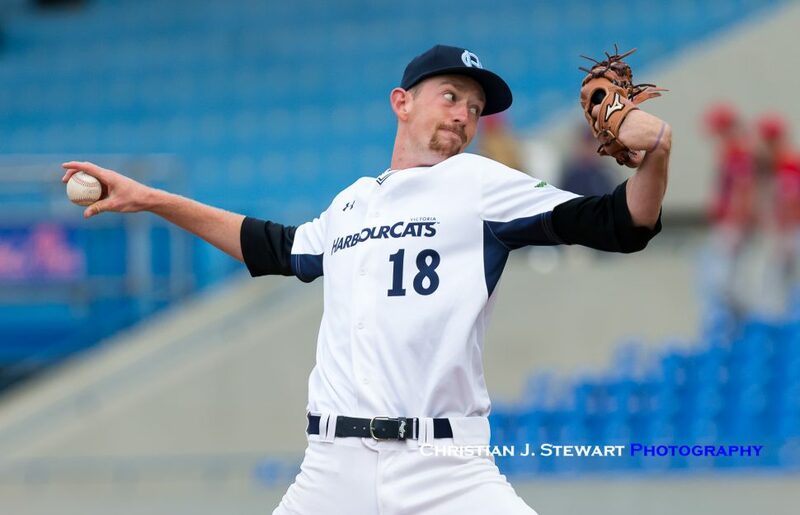 Ethan Fox is scheduled to make his second start of the season for the HarbourCats. Fox gave up two earned runs and four walks in 3 2/3 innings in a season opening loss last Friday against Wenatchee.